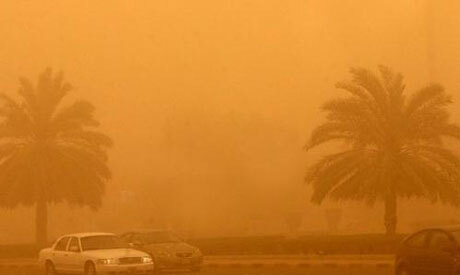 A severe sandstorm on Wednesday struck several parts of Egypt, including capital Cairo, leaving five people dead. The inclement weather claimed the life of a person and injured two others when a building partially collapsed in the northeastern part of Port Said province, Anadolu News Agency reported, quoting local media. Furthermore, four people reportedly died after a bus turned turtle due to strong winds in the northern part of Kafr al-Sheikh province. Authorities have shut down four of Egypt’s main seaports due to the sandstorm and several roadways have been closed indefinitely till further notice. The country’s meteorological agency has forecast “several days” of gusty winds, which could disrupt maritime navigation in the Mediterranean and Red Sea.